Architectural House Models of Houses in the Hamptons, Long Island's Gold Coast and New York City built by Model Maker Gary Lawrance, AIA of Lawrance Architectural Presentations, Stony Brook, New York. Please click HERE to read the article, "Scaling Down Expectations" in the Wall Street Journal's real estate section, "Mansion", about architect Gary Lawrance, AIA and his firm, Lawrance Architectural Presentations. Below are a few more photos of architectural models that have been created by architect/model maker Gary Lawrance, AIA. My firm, Lawrance Architectural Presentations has been building architectural models for many notable Hamptons architects for over 20 years. These models have been used during design development, for Architectural Review Boards, ARBs or for presentation pieces to be appreciated as art works in the completed home. 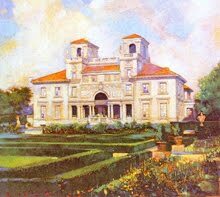 I also do many models for architects on Long Island's North Shore where villages such as Old Westbury and Brookville require architectural models for new construction or major renovations. 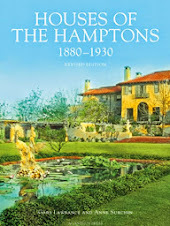 For more information please contact me at, lawrance@optonline.net Please also visit my other blog, Mansions of the Gilded Age and friend Gilded Age Mansions on facebook and ask to join the group, Mansions of the Gilded Age. Click HERE to see a listing of other media sources and exhibitions where more examples of my work can be seen at the bottom of this post. Architectural Model Created for John Laffey Architect, Watermill, New York. Architectural model by Gary Lawrance, AIA Lawrance Architectural Presentations of a Hamptons home designed by John Laffey Architect,Watermill, New York. Architectural model by Gary Lawrance, AIA Lawrance Architetcural Presentations of a Hamptons home designed by John Laffey Architect,Watermill, New York. Architectural Model Created for Katherine McCoy Architect, Bridgehampton, New York. Architectural model by Gary Lawrance, AIA Lawrance Architectural Presentations of a Hamptons home designed by Katherine McCoy Architect, Bridgehampton, New York. Architectural Model Created for John David Rose Architect, Southampton, New York. Architectural model by Gary Lawrance, AIA Lawrance Architectural Presentations of a Hamptons home designed by John David Rose Architect, Southampton, New York. Architectural Models Created for Preston T. Phillips Architect, Bridgehampton, New York. Architectural model by Gary Lawrance, AIA Lawrance Architectural Presentations of a Hamptons home designed by Preston T. Phillips Architect, Bridgehampton, New York. Architectural model by Gary Lawrance, AIA Lawrance Architectural Presentations of a New York City Townhouse designed by Preston T. Phillips Architect, Bridgehampton, New York. 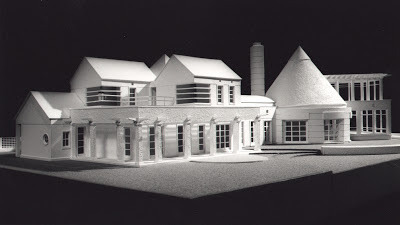 Architectural Models Created for Frank Greenwald Architect, East Hampton, New York. Architectural model by Gary Lawrance, AIA Lawrance Architectural Presentations of a Hamptons home designed by Frank Greenwald Architect, East Hampton, New York. Architectural Models Created for Fleetwood/McMullan Architects, East Hampton, NewYork. Architectural model by Gary Lawrance, AIA Lawrance Architectural Presentations of a Hamptons home designed by Fleetwood & McMullan Architects, East Hampton, New York. Architectural model by Gary Lawrance, AIA Lawrance Architectural Presentations of a Hamptons home designed by Fleetwood and McMullan Architects, East Hampton, New York. Architectural Models Created for Andrew V. Giambertone & Associates, Architects, Cold Spring Harbor New York. Architectural Models Created for Peter Cook Architect, Southampton, New York.